#4252341 CollectorVision Phoenix Pre-Order is now live! The way I see it, I feel like more people who didn't grow up with the system may get "introduced" to the ColecoVision via an emulation console like a Raspberry Pi and then maybe a small percentage of those people would go "Damn, this is a REALLY FUN unique system! I need to get more involved" and then look into purchasing a Phoenix. I feel like since some of these newer, cheaper all-in-one options have become more readily available over the past few years we've most certainly seen an uptick in people interested in ColecoVision that may have never even heard of it before, haven't we? #4250478 Anyone else enjoying Colecovision on the Mega Sg? Did I say something that was incorrect? If a person has an issue with licensing but doesn't practice what they preach isn't that hypocritical? First of all, not taking sides in this argument, Eduardo has a legitimate complaint because he created the SGM and he has a right to protect the work he put into it. He speaks for himself and his product. You on the other hand, DO NOT SPEAK FOR KONAMI. You do not represent Konami. You do not have any ties to any of those games you mentioned. If Konami has an issue with those games that Opcode ported, they can contact Eduardo directly. The ONLY reason you've even bringing it up is because you thrive on making drama and you can't stand the fact that Eduardo actually has a valid argument, so you had to throw that out as some sort of a rebuttal. I gave you ONE WARNING and that was it. You need to drop your issue RIGHT NOW or it will be your last post in this thread. #4241026 FS: Fairchild System (Channel F) Multi-Cart, pre-order now. Is there a deadline for boarding this train? I am thinking about boarding it. And how much is a ticket? Just doing a quick search on his most recent posts pulls up that he's had "opinions" on quite a number of different projects. I appreciate when people have differing opinions...I just don't appreciate it so much when they have to have an attitude that goes along with them. TPR, I love everything you do for the community and your passion for the colecovision, but as a moderator I wish you had more tact when dealing with people. Why even post this response? EDIT: And to answer the last part of your question... Maybe I actually would like the guy to "play nice" with others and if he did that, perhaps more people would be willing to help his cause? I know for one, as someone who spent years in a "hospitality" type of role, those who would approach me with a kind and friendly demeanor would get that same attitude from me in return. And those who were obnoxious and abrasive... why would I want to go out of my way to help them? I apply the same philosophy to how I moderate. In short: I'm just asking for people to be nice to each other....and yes, I may be a little tactless and brash when I do it, but that is the end goal here, and sometimes you have to speak to people on their own playing field. Because I am not going to read all 107 pages has anyone discovered who actually owns the Coleco Trademark? So someone throw me a bone here. Translation: "I'm not going to read this thread as I'm lazy and I just want someone else to answer the questions that may have already been answered." Based on your abrasive behavior and obnoxious attitude I've seen from you in some of the Coleco threads, I will not be throwing you a bone, and I suggest others don't either until you can "play nice" with the other members of this community. I finally got around to purchasing one yesterday for $65 shipped off Ebay. I have not seen them listed much lower than that, but like you said it's well worth the cost for the keypad functionality with the Phoenix. Yep. Agreed. Every once in a while youll see someone from the non-typical Japnanese ebayers list one. I picked up a spare recently for around $40. Ill also be back in Japan in a few weeks and Im going to check a few places there again. If I find any for reasonable prices Ill pick them up to share with the group! Just used the form to reserve a copy! #4201203 CollectorVision Phoenix Pre-Order is now live! Um, who are you calling "wafer guy"? I hope not me. Never mentioned them before and I'm clearly just trying to clarify what is meant by "game wafer pack". No, no... not you! lol Just someone that keeps coming up over and over again... because... "wafers!" #4201108 CollectorVision Phoenix Pre-Order is now live! OMG, how is that "wafer guy" keeps popping up everywhere trying to convince the world that his "wafers" are somehow different from any other standard SD cards or SD Multi-cart in existence? Update! I swapped out the guts of an NES Classic Controller with an original Famicom controller and BAM! 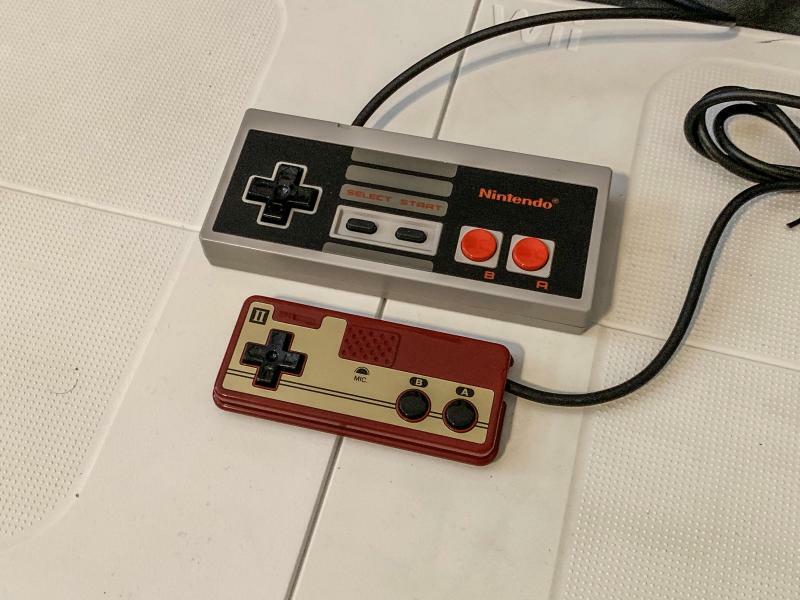 Now I have a full-sized Famicom controller attached to my Famicom Mini! It was almost too easy to swap the PCB. 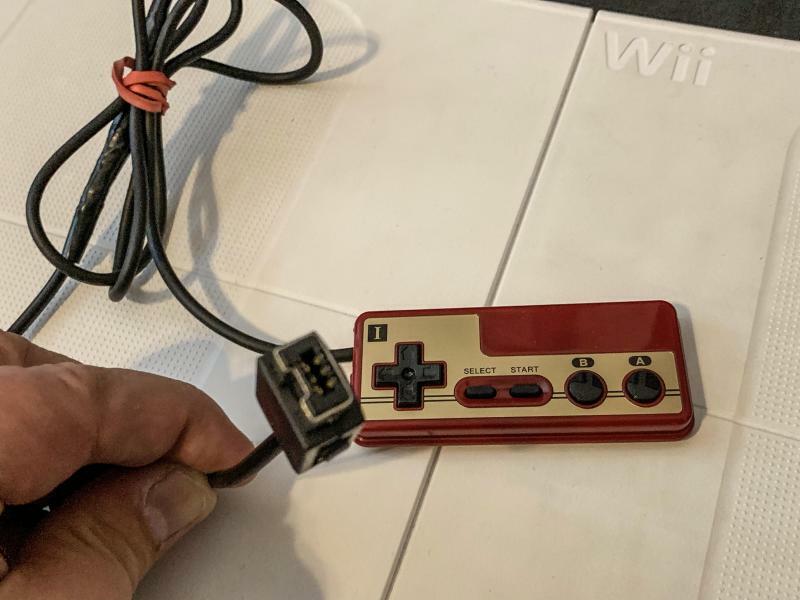 Took me less than five minutes since the guts of the original Famicom & NES controllers are the same, and the newer NES classic controllers are based on the 1985 original controllers, the board worked! No problem! 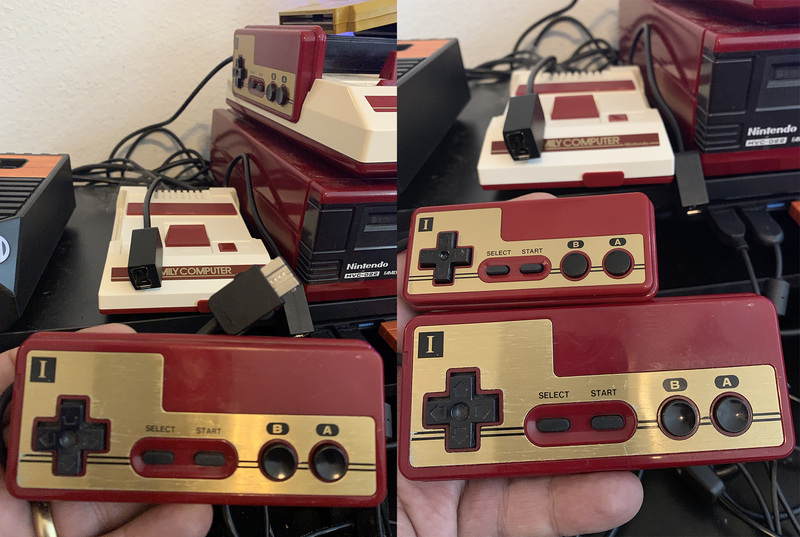 While I love the "mini" version of the Famicom controller (photo on the right) you can see it's just too small to be practical. 1. 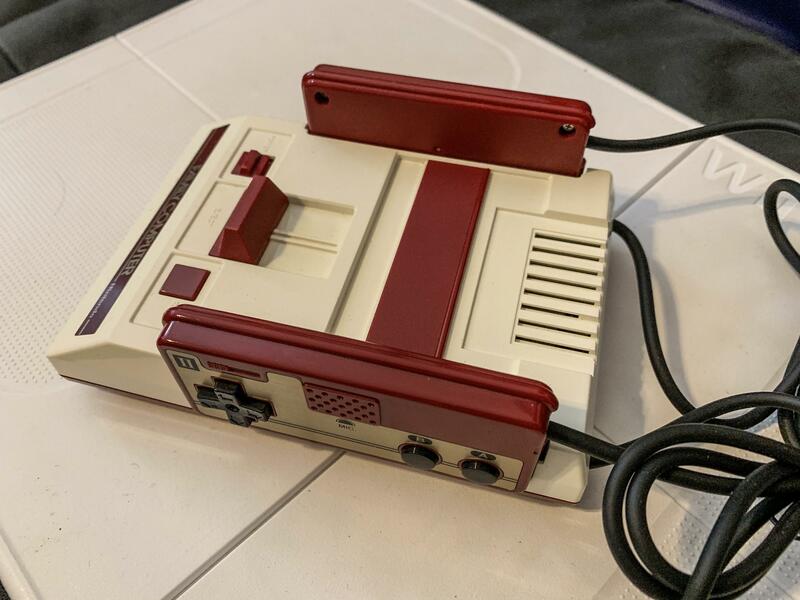 The Famicom Classic does not have a "controller port" on it like the NES Classic does, so if you want to connect either an NES or SNES controller to the Famicom Classic, you can't without doing this mod. 2. Just like the original 1980s Famicom, the Classic comes with the controllers hard-wired into the console. And I mean hard wired. It's not a controller port inside the case, they are attached via a connector right on the board! 3. Another reason for doing the mod is that, keeping in with the theme of having the console be "mini" in order for the controllers to fit into the slots on the sides, just like the original console, the controllers also had to be shrunk down, which makes them almost unusable. They are "cute" absoultely, but not practical for playing games. 4. 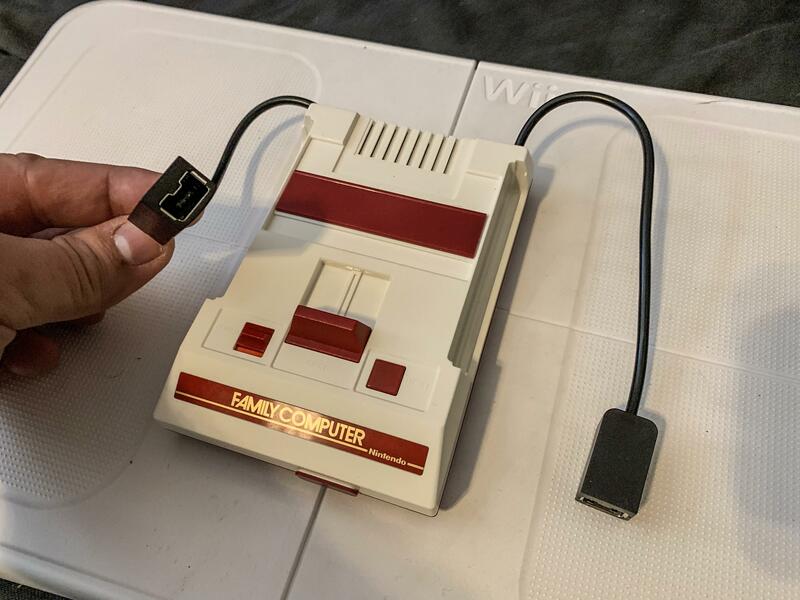 That being said, I used one of the left over extension cord connectors to convert the mini Famicom controller so that I can plug it in and use it if I ever wanted to. Interestingly enough, these controllers ONLY work on the Famicom console and not on the NES mini. 5. 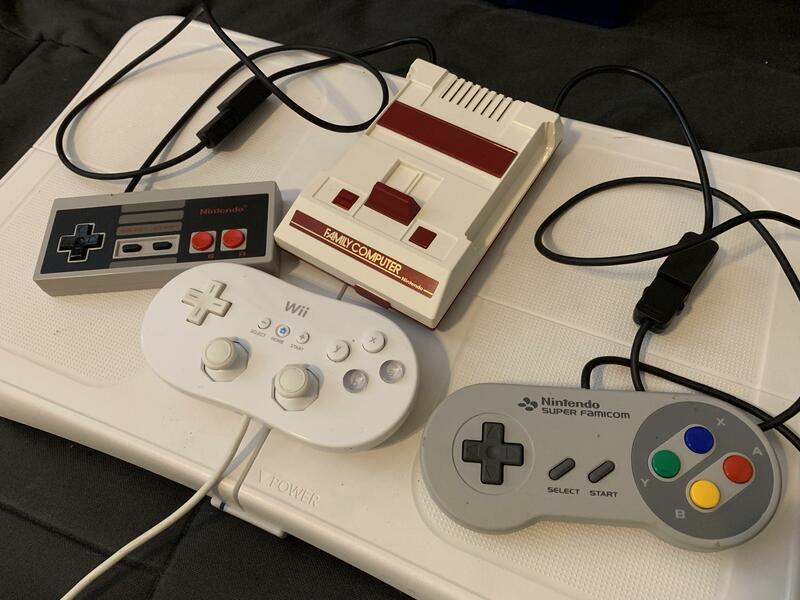 And now with this mod, I can use any number of controllers are compatible with the NES Classic connector including a number of controllers that were released for the Wii! Yes, you have done a nice job with this thread. At first I didn't realize it didn't include the older ones and only newer and in progress ones. I was surprised that I didn't see any comprehensive current list of every title online. I think there have been a handful of lists but I'm not sure if it has ever been compiled. Perhaps it's time I take on another new project? All of the homebrews up to date? Probably not. I plan on updating this tracker as soon as the next Pixelboy news bulletin comes out as there's been a lot of activity lately and I'll be sure to list all of the released homebrews since I at least started this tracker thread.